Here’s an instant Doctor Who party idea that requires practically no skill and comes together in just minutes. I almost called it a “hack,” except that I dislike that word very much for no apparent reason. This recipe will be my contribution to the current recipe challenge, which incorporates Doctor Who and candy. Why A Bow Tie and a Fez? As you may already know, the significance of the bow tie and the fez pertains to my favorite modern Doctor, Matt Smith, who wears both at one time or another during the show. Watch this clip of the Doctor and his fez, or this clip of the Doctor and his bow tie, to get the idea. Even if you’ve never decorated anything in your life, you can handle this. It’s quick and very easy. What do you think? Are bow ties and fezzes cool? I tend to think so, especially if Matt Smith is wearing them. This quick Doctor Who dessert is so easy, anyone can do it! Serve them at your next Doctor Who party or enjoy them as a special TV watching snack. Carefully peel the paper off the cupcakes. Using a serrated knife, gently cut the top section off the cupcakes. Set aside the tops. Flip the cupcake bottoms over. Put a dab of black icing on a black candy. 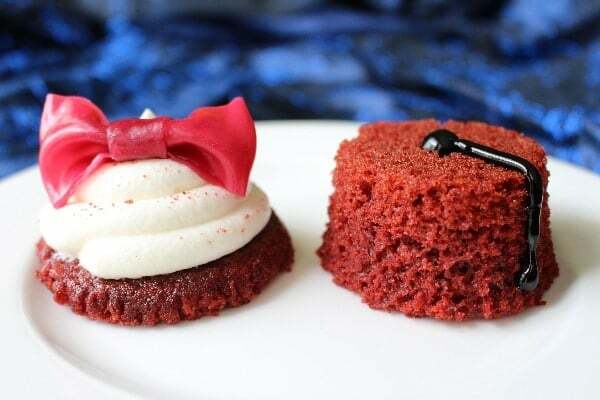 Press gently into the center of the bottom of the cupcake to make the fez button. 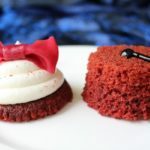 Draw a line of icing from the candy down the side of the cupcake to create the fez tassel. Repeat for all cupcake bottoms. To make the bow tie, cut a strip of fruit leather about five inches long and a little over an inch wide. Press the ends of the fruit leather together to make a loop. Pinch the center of the loop to form the bow tie and set aside. Cut a small piece of fruit leather and wrap it around the center of the bowtie and press to seal in the back. 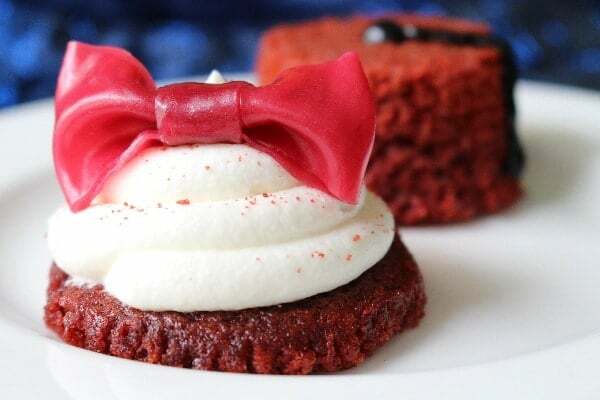 Place the completed bow tie on the top of the icing. These are so cute. What a festive idea and fun way to celebrate Dr. Who. You are super clever! Sending this link to my Dr. Who fan friends. Start with season 5 for Matt Smith! Season 5 & 6 are my favorites of the new series.